It’s Feburary, the month of romance. It’s the shortest month of the year, but yet you end up in spending the most. Yes, everyone wish to make their valentine happy at this month and no one wants money to hinder their way in seeing their lover with a smile. Well, then hurry up. BlogEngage is running a $500 USD Guest-blogging contest. Just scribble out something on blogging with a true intention to enjoy the fun in a contest. Am sure, you will end up in writing a beautiful post. Still not ready to participate. Don’t just the opportunity let off. BlogEngage is a big platform for the bloggers and so I am sure all participants will see the feast. Cochin Twestival 2010 will be held on March 25th, 2010 from 5 PM to 8 PM at Somewhere Else Cafe. Cochin Twestival is a mega tweet-up with lots of things added. Hearing the word ‘Twestival’ for the first time? It is a mega tweet-up with lots of things added. In short, it is a Twitter Festival. Twitter Festivals or Twestivals happen all around the globe once a year. There are basically two types of Twestivals: Twestival Global & Twestival Local. Twestival Global is one day, one cause all around the world and Twestival Local takes place over a weekend where cities are encouraged to support a local cause. Both versions have international momentum, but the real power of Twestival is when everything comes together on one day, giving focus to an important cause, the cause being different every year. You can register for the event in the Facebook Event Page. BarCamp Kerala 8 will be held on 28 March, 2010 at MACFAST, Thiruvala. BarCamp Kerala or BCK is the biggest and coolest techy event in Kerala. Hearing the word ‘barcamp’ for the first time? You can register for the event in the BarCamp Kerala Site. As of yet we have 65 attendees. Till now we have 6 sessions. If you want to handle a sessions at BarCamp, you can add yourself in the sessions page. Thanks to binnyva who wrote the BarCamp Kerala post Generator by which this very blog post was written. How to perform a SQL injection? First of all we must know what a ‘SQL injection’ is. So here is the wikipedia definition – ‘ SQL injection is a code injection technique that exploits a security vulnerability occuring in the database layer of an application ‘ . Here we will confine ourselves to SQL injections in web sites. Now we need to find out a site link which is likely to be vulnerable and most probably it will be of the form ‘ http://www.site.com/abc.php?id=5 ‘. If you haven’t got such a link, just do a search in Google for ‘allinurl:.php? *id’ and take out a result. 1. Check the vulnerability by adding ‘ to the above link. If you get an error message it means that the site is vulnerable to SQL injection. Now you can be damn sure that the site is vulnerable to SQL injection. Just increment the number until we get an error. We will get a number on the screen. Lets say we get the number 2 at this step. Now you can find the version from the site and only if it is found to above 5, we can continue to the next steps. Why do we use information_schema? The reason is very simple – ‘In mySQL 5 and higher versions, information_schema holds all tables and columns in the database’. 6. Now that we have the column and table names, just retrieve the sensitive data like admin, user, passwords, etc. How to turn off Buzz in Gmail? Everyone have just started using Google buzz and many are still to contemplate it. Still the WebMonkey want to tell you about how to turn OFF the google buzz. So if you haven’t liked de BUZZZZZes in gmail, just follow the steps given below. Now what if you want the Google Buzz back. Just click the ‘ Turn on Buzz ‘ link at the bottom. TCS.com belonging to Tata Consulatcny Services was hacked earlier todaya and it is claimed to be a attack over a DNS loophole. Using nslookup, the diiference between Google public DNS and open DNS were studied. 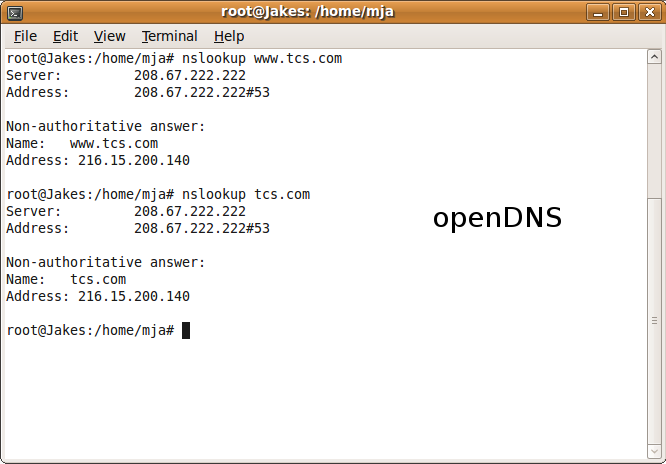 On using nslookup for openDNS the result for both tcs.com and http://www.tcs.com were the same. 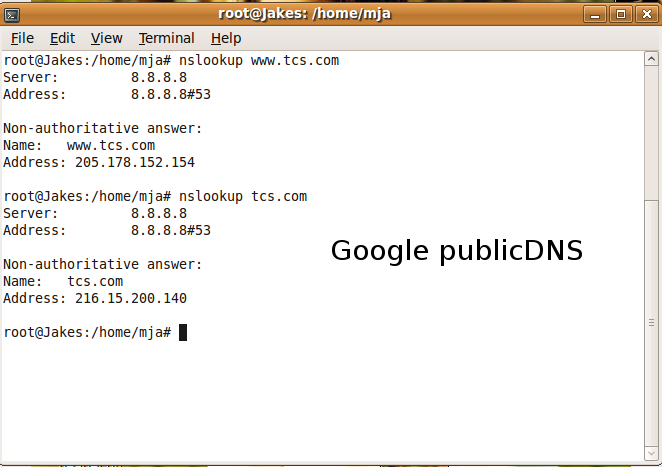 On using nslookup for Google public DNS the result for both tcs.com and http://www.tcs.com were different. For http://www.tcs.com the Address was 205.178.152.154 while for tcs.com it was 216.15.200.140. Thanks to Albins for pointing out the difference. The website http://www.tcs.com which belongs to India’s IT giant Tata Consultancy Services gets hacked by a French hacker. When I write this post, the TCS group have not still resolved the problem. Itx more likely that it is not a web software hack,but an attack through DNS loophole. If you visit TCS.com you will get a screenshot as shown below, telling that they have put up the domain name for sale.